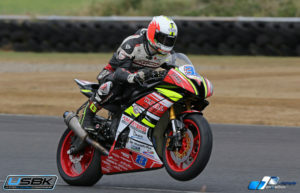 Alistair Kirk won the Neil Robinson Memorial Trophy yesterday at Bishopscourt Racing Circuit. Kirk got his name on the trophy and lifted the £1000 cheque after a race long battle as hot as the Bishopscourt weather with David Haire, the Dromara man taking the chequered flag by just four tenths of a second. Haire recovered from bike problems earlier in the meeting to finish second with Gerard Kinghan a further two tenths behind after having to fight his way back from a poor start where he dropped back to six place. Jason Lynn was fourth, the first of the Supersport bikes across the line. 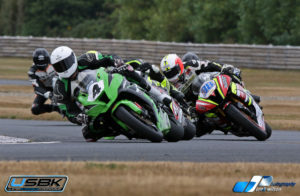 Earlier in the weekend Gerard Kinghan had three wins in the superbike races increasing his lead over the absent Charles Stuart in the Ulster Superbike Championship standings. He took his first win of the two day meeting on Saturday beating Ali Kirk to the line by 1.1 seconds, Jason Lynn on a Supersport machine taking the final step on the podium. Race two and again it was Kinghan and Kirk who took to the front, Kirk pushed the Randalstown man hard but he managed to hold his nerve taking the win by 0.1 of a second Thomas O’Grady finished third, Jason Lynn slipped off unhurt at the hairpin due to a cold tyre after they were held on the line for some time after a red flag incident at turn one. Road racer Adam McLean making his first outing since the Southern 100 finished fourth. 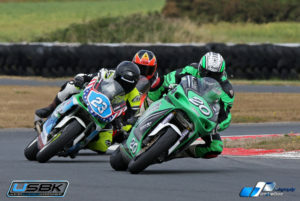 The first outing for the Superbikes on Sunday was another duel between Kinghan and Kirk with Kinghan again coming out on top with one second separating the two at the line. Again Jason Lynn was the first of the Supersport bikes to take the flag in third. Lynn also comfortably won all three of the Supersport races. Saturdays two Supersport races the top three finishing in the same order of Lynn first, Christian Elkin second and Emmett O’Grady third. On Sunday Lynn had another comfortable win to completed his treble for the weekend this time out it was Emmett O’Grady who was second and Dean McMaster in third. 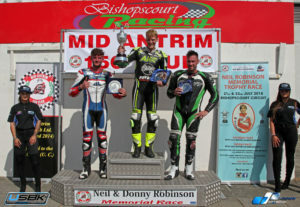 Christian Elkin won the 3 Moto 3/125 outings and Gary McCoy had a hatrick in the LWSS 400 class. 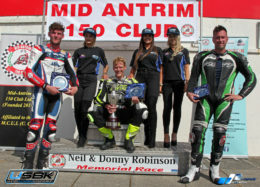 Elkin also had a win in the opening supertwin race on Saturday Gary McCoy was second and Denver Robb third. Robb made up for his disappointment by winning the second and third races with Cahal Graham and Garry McCoy sharing the spoils with a second and third each. 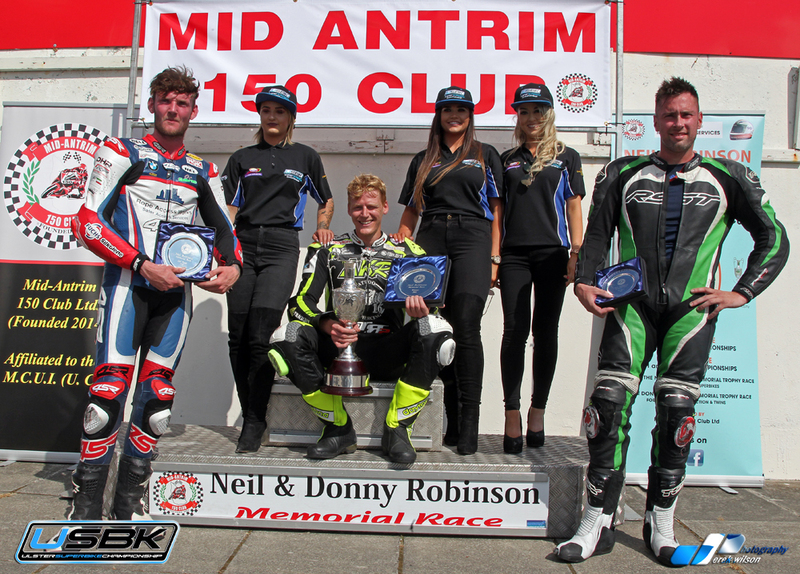 Robb also won the Donny Robinson trophy on Sunday again beating Garry McCoy and Cahal Graham.